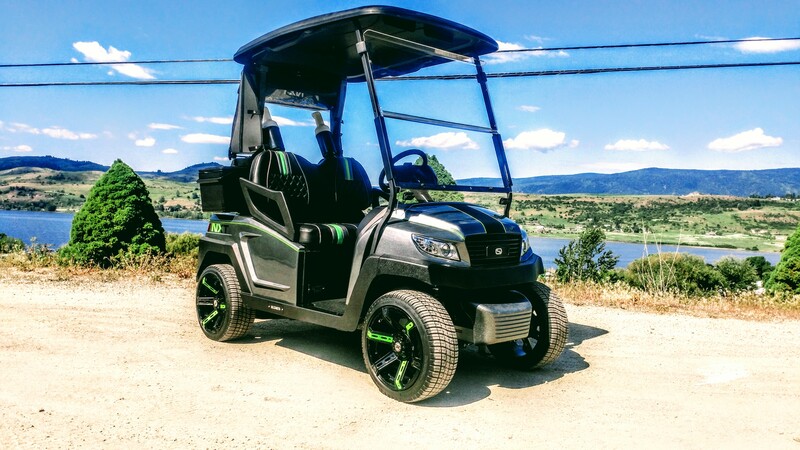 Just because we’ve lost 15 degrees in the Okanagan this week and its starting to feel like fall is on its way, doesn’t mean that things are cooling down inside the SC Carts’ HQ! We’re doing just the opposite … we’re fired right up with the next cart on the lift that will be ready just in time for the long weekend. 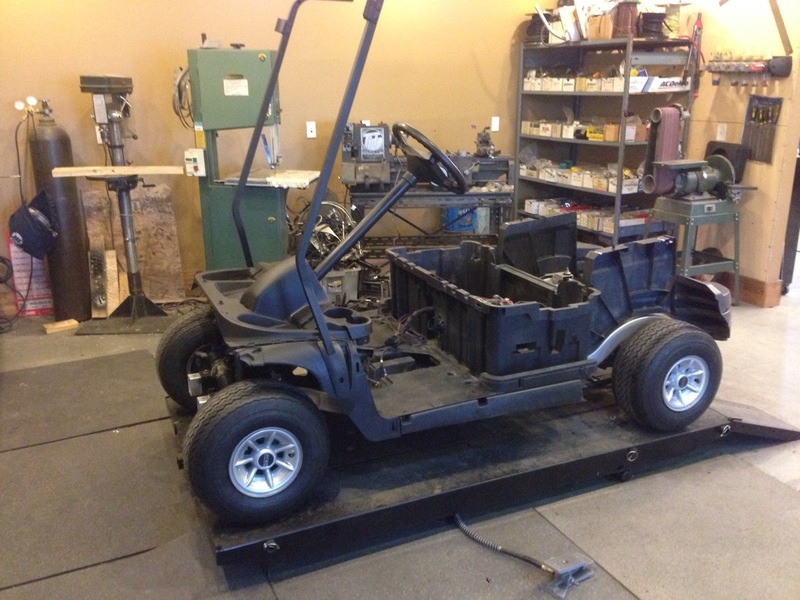 Meet the Phantom Silver Bell – based on a Club Car Precedent, this cart will be an extremely classy resort cruiser with its custom steering wheel & rear seat kit. 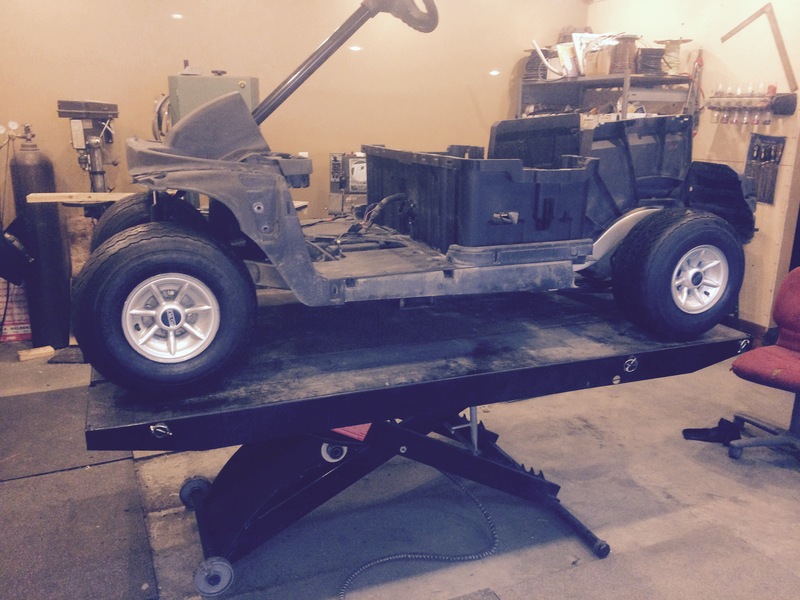 The start to another awesome build, the cart is on the lift and ready for the front end rebuild. Ahhh! 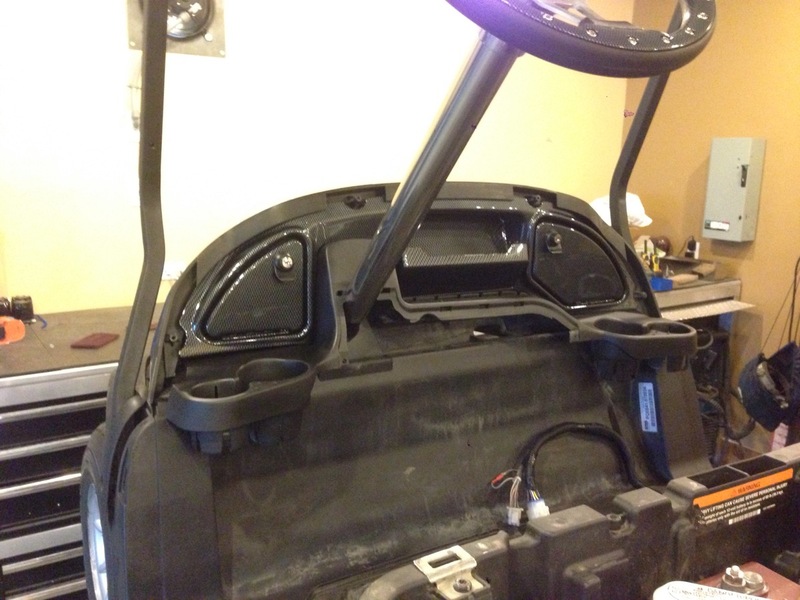 That’s better, with all the bushings inspected, greased and the detailed this front end looks and functions like new! 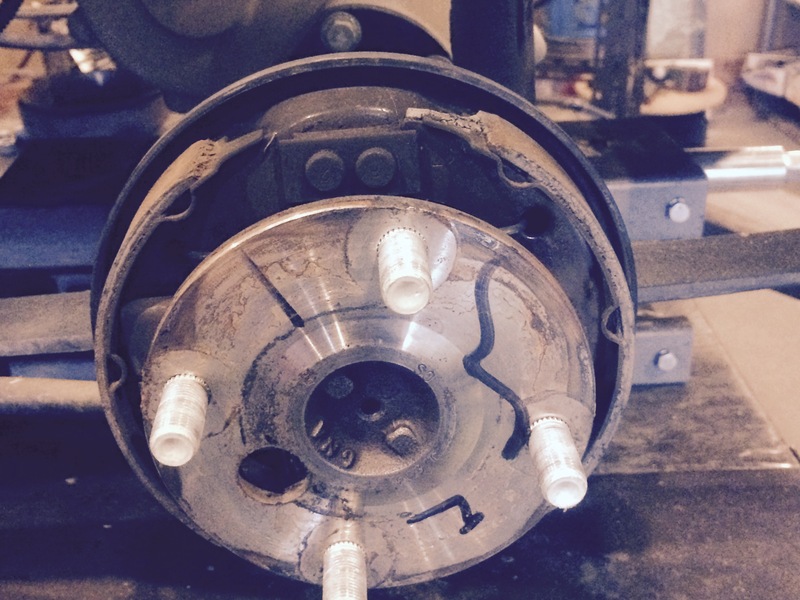 after a complete overhaul of the brakes, including new brake pads the braking system looks like new. 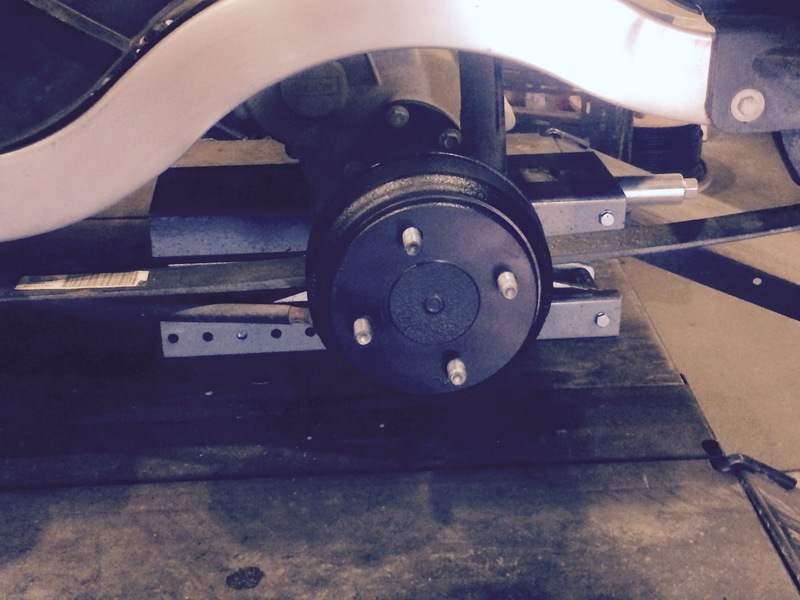 This cart is getting a rear seat kit, and at SC Carts anytime we install a rear seat kit, we install HD rear suspension to take the added weight of passengers and cargo. 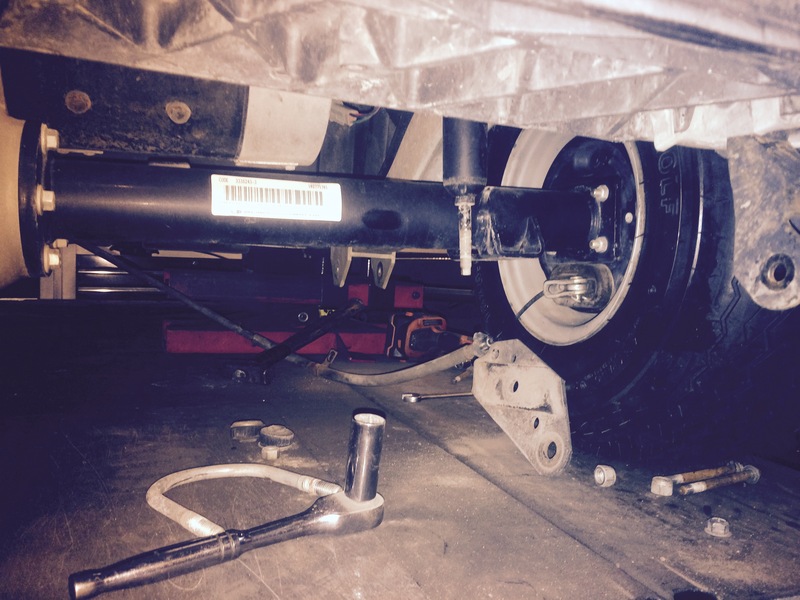 From a single lead to a triple leaf spring setup. 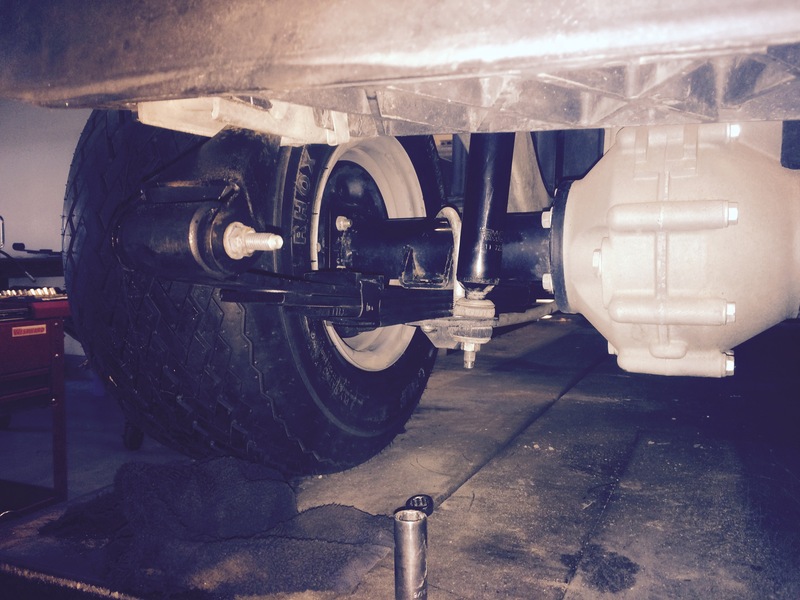 The mechanical end of things is all complete and we installed some brand new rubber with the factory Club Car hub caps. 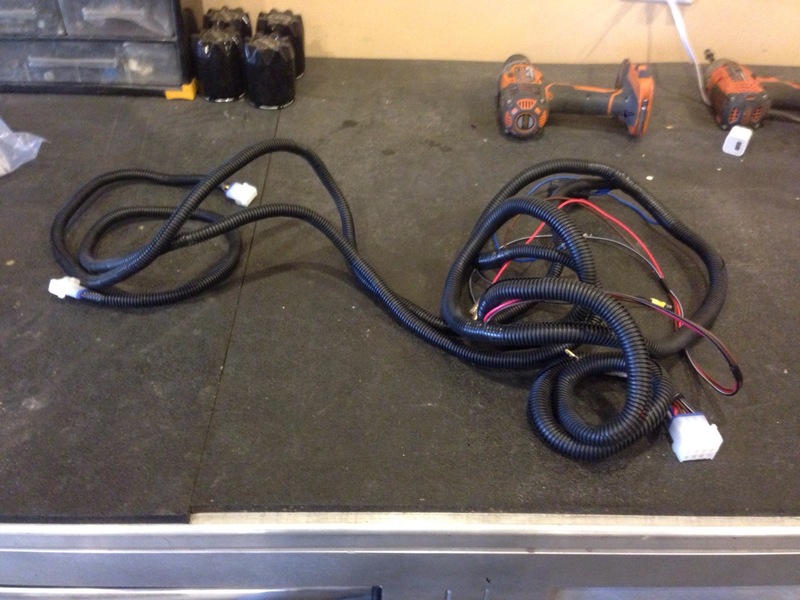 Next we moved onto the wiring portion ensuring everything is as it should be and replacing anything that isn’t. Now that the mechanical and electrical is under control, we start with detailing and cleaning the underbody components. 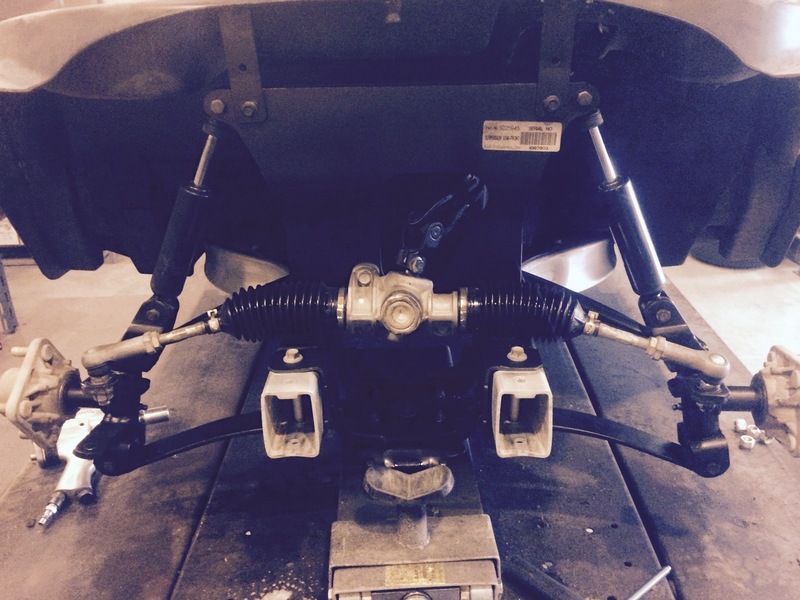 Even though these components won’t be seen, we like to treat them like they will be. It sets the tone for all of our builds. Now we are getting somewhere, we dropped in the brand new Trojan T-1275’s. 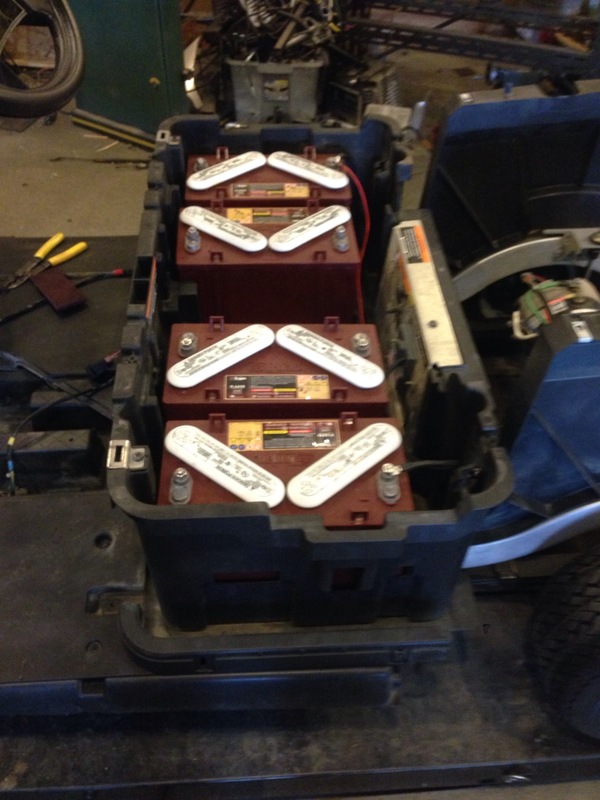 These power houses are going to provide many, many miles of trouble free service. 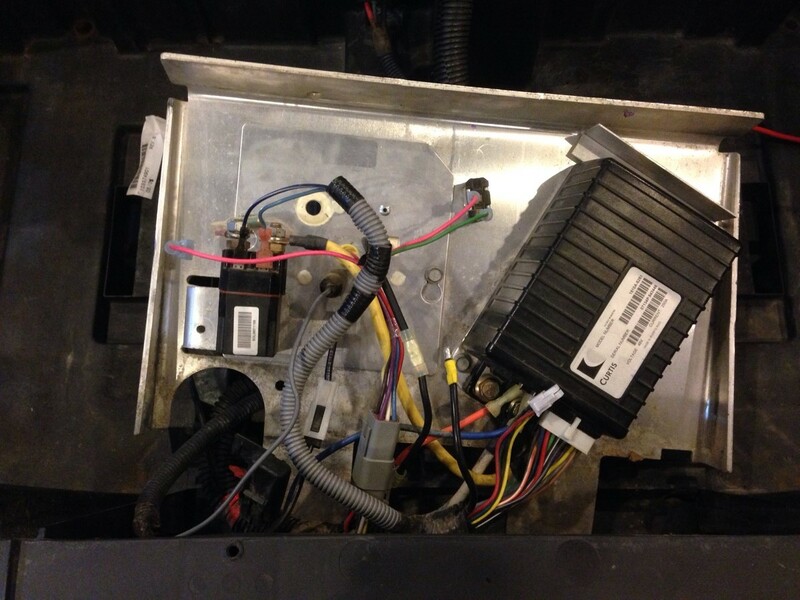 Because this cart is getting the headlight and taillight package we installed a brand new lighting wiring harness. 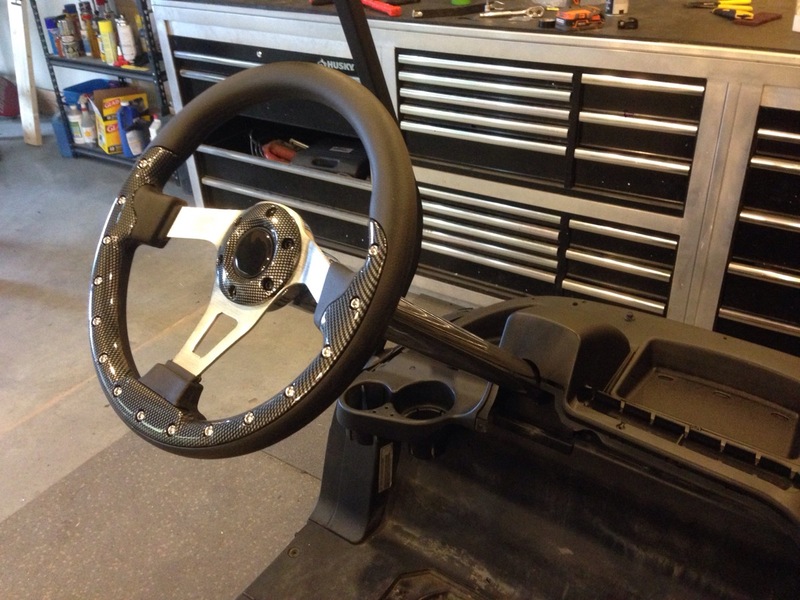 To add a bit of style and comfort, this custom carbon fiber steering wheel was installed, along with the polished steering column. 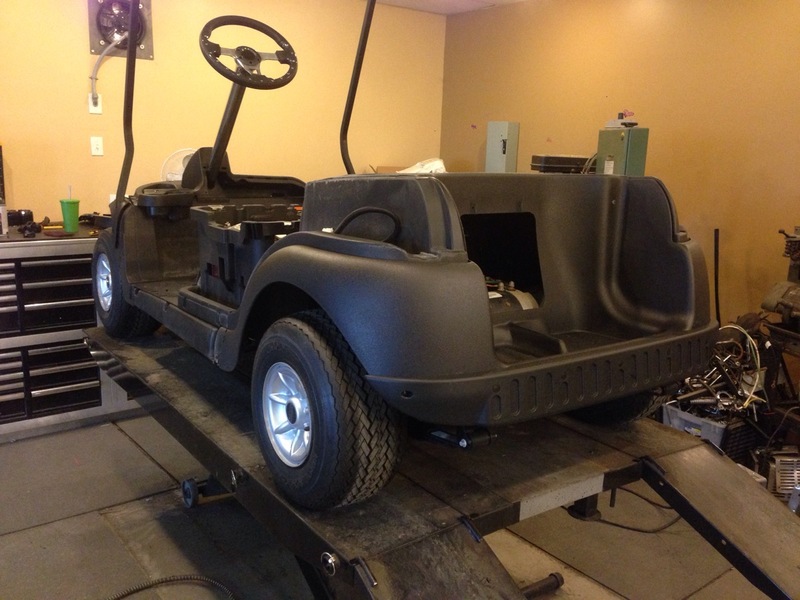 This cart is also going to be used for golf so a score card holder is soon to come. To finish off the carbon look, we added a locking dash, it also adds some security while you are out and about! 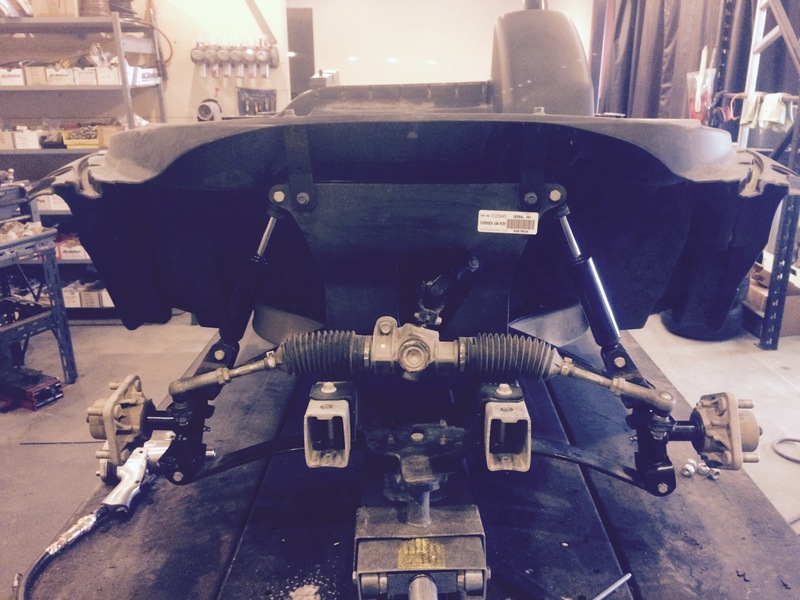 Next we installed the rear underbody in preparation for the custom Phantom body!